Home / Ayala Malls Cinemas / Cannes Film Festival / Dane DeHaan / Gary Oldman / Guy Pearce / Jason Clarke / Jessica Chastain / John Hillcoat / Mia Wasikowska / movie / Shia Labeouf / Tom Hardy / Gangster Brothers in True Crime Thriller "Lawless"
Gangster Brothers in True Crime Thriller "Lawless"
Acclaimed director John Hillcoat (“The Road”) delivers a thrillingly vivid slice of American outlaw history in The Weinstein Company's critically-applauded epic gangster tale, “Lawless.” The film will be shown soon exclusively at Ayala Malls Cinemas (Glorietta 4, Greenbelt 3 and Trinoma). 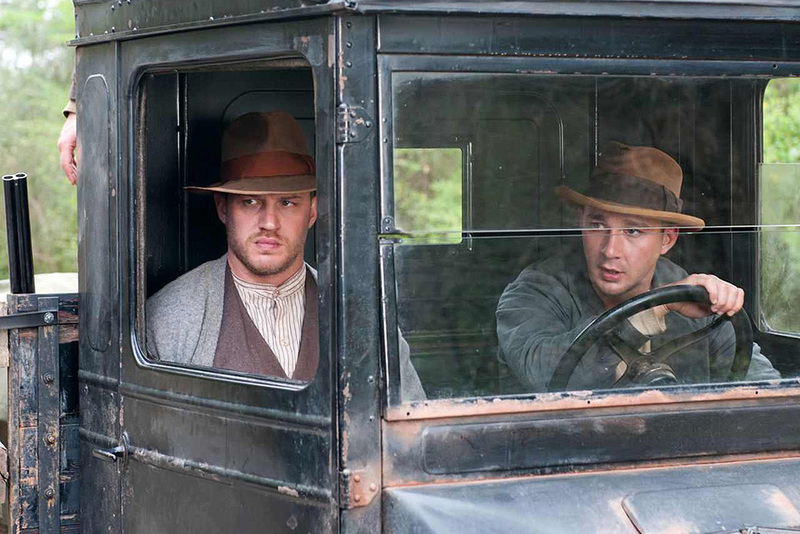 An official competition entry in last May's Cannes Film Festival, “Lawless” is the true story of the infamous Bondurant Brothers: three bootlegging siblings who made a run for the American Dream in Prohibition-era Virginia. Based on author Matt Bondurant’s fictionalized account of his family, The Wettest County in the World, the film gathers an ensemble of gifted, dynamic new-generation stars – Shia LaBeouf, Tom Hardy, Jessica Chastain, Jason Clarke, Mia Wasikowska, Dane DeHaan – alongside two of the finest actors of their generations, Guy Pearce and Gary Oldman. 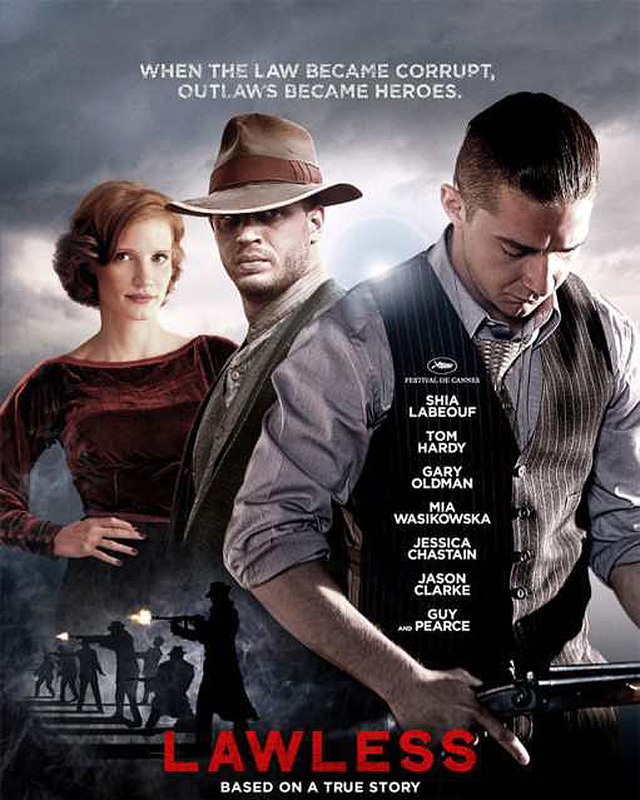 A riveting, intense story of crime and corruption, loyalty and love, brutality and tenderness, “Lawless” is a rich addition to the American gangster canon. In the mountains of Franklin County, Virginia, the Bondurant brothers are the stuff of legend. The eldest, Howard (Clarke), managed to survive the carnage of the Great War, but he returned home unmoored by what he had seen and done. His brother Forrest (Hardy) nearly died from the Spanish Flu that took his parents. He beat back death with a quiet strength and ferocious, visceral invincibility that came to define him. Jack (LaBeouf) is the youngest sibling, impressionable, sensitive, smart. Times are tough and jobs are scarce, but the Bondurants are entrepreneurs and have built a thriving local business by concocting an intense and popular brand of moonshine. But Franklin County’s bootlegging days are about to end with the arrival of Special Deputy Charlie Rakes (Pearce) from Chicago. The new “law” Rakes brings is lethal and corrupt and will challenge everything the brothers have built and represent. But while the rest of the county gives in to Rakes’ ruthless crackdown, the Bondurants will bow to no one. As the family rallies to fight Rakes, the fraternal dynamic shifts. Jack’s ambitions and enterprises alter the balance of power between the brothers as he careens into manhood. The lives of the Bondurants are soon complicated by the appearance of two beautiful women: the exotic, steadfast Maggie (Chastain), who brings a secret past with her and catches the eye of the guarded Forrest - and the quiet, pious Bertha (Wasikowska), who slowly warms to Jack’s charms and channels her own rebellious streak. Jack’s confidence however soon trumps his good sense, and the consequences will test the brothers’ loyalty and endangers them all. Determined to do whatever is necessary to fight for what is theirs, the Bondurants take up arms and confront the corrupt forces of the law in a faceoff to determine who controls the wettest county in the world.